The Prime Minister of Pakistan, Imran Khan has announced the ‘Pakistan Banao Certificates’ schemes to attract the foreign investment in the business and investment sectors from the expatriates. The Prime Minister of Pakistan, Imran Khan inaugurated the ‘Pakistan Banao Certificates’ schemes to get maximum foreign investment from the overseas Pakistanis. The PM addressed the launching ceremony and said that idea is to include Pakistanis living in other countries of the world to make Naya Pakistan. He was sure that Pakistan Banao Certificates scheme will strengthen the economy of the country and it will also generate the profits for overseas countrymen. Pakistan Banao Certificate Detailed Information You Need to Know. Most of the Pakistanis have different types of questions in their minds for the much anticipated scheme for expatriates. You will also want to know how much you can earn through Pakistan Banao Certificates and how you invest the amount in Pakistan Banao Certificates. 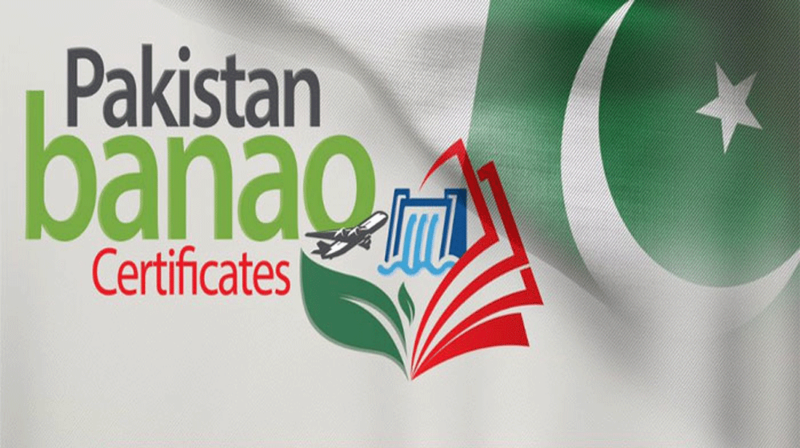 You will also know about the eligibility criteria for Pakistan Banao Certificates and the profit rates for the scheme of Pakistan Banao Certificates and how it will work. The government of Pakistan says that it is the sovereign US Dollar denominated retail level instrument, which is offered by government of Pakistan for non-resident Pakistanis, who have overseas bank accounts. Pakistan Banao Certificates scheme is the initiative, which is going to encourage the overseas Pakistanis to invest their savings in the country and the certificate profit rates are higher than United States, Europe and Gulf countries. The initiatives allow the overseas Pakistanis to contribute in the development of their home country and they will also earn handsome profits and multiple rewards. The overseas Pakistanis, who have Computerized National Identity Card (CNIC), National Identity Card for Overseas Pakistanis (NICOP) or Pakistan Origin Card (POC) and maintain their bank accounts abroad, are eligible to make investment in the scheme digitally through safe platform. When registered successfully, choose your investment type and provide bank account details. The funds are to be transferred from foreign bank to the State Bank of Pakistan account in National Bank of Pakistan, New York. The funds receive at SBP account must be equivalent to intend investment after all charges, if any. Once the funds are received, the users are issued electronic certificates via email as well as on the registered account. The unique identity number will be issued to every certificate holder. When you complete the registration process successfully through all above mentioned steps, your profit in USD will be remitted bi-annually to specified account, which is maintained abroad. The investors will be exempted from withholding tax and compulsory deduction of zakat and they will have the option to cash Pakistan Banao Certificates prematurely in rupees without any deduction. If the investor wants to encash bonds in USD within first year, the penalty of 1% will be levied. The redemption module of Pakistan Banao Certificates portal is provided to use for submission of encashment applications online. The investors inject as low as $5000 and any integral multiples of US $1000 in excess with no maximum limit. Pakistan Banao Certificates is offered in three and five year maturities with the profit rates of 6.25% and 6.75% per annum respectively. The overseas Pakistanis can buy one or more certificates from foreign bank accounts and they can become part of this part, which has the aim to build ‘Naya Pakistan’.